As a YouTube Partner or AdSense Publisher, it's your responsibility to understand the policies and make sure your content complies. And that means there are some types of content you cannot publish if you want ads to display. While it may feel unfair, those are the terms you agreed to. If you are a YouTube Partner, you should be aware that the advertiser-friendly content guidelines for monetization are stricter than the general Community Guidelines. Age-restricted videos and content prohibited by the Community Guidelines cannot be monetized. Publishers are responsible for every page on which their ad code appears and for screening any text, images, videos, or other media which will appear on a page with Google ads. 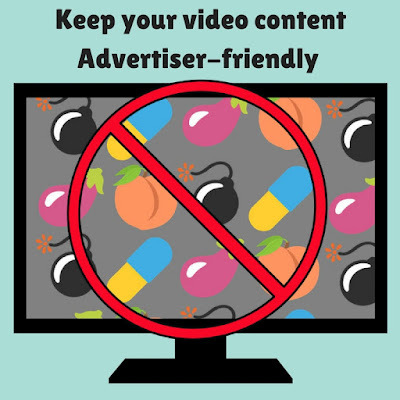 And it's not just content on your own site - promotion of prohibited content includes providing links to sites that do not follow AdSense content policies. What happens if you don't comply? Ads may stop appearing on your website or on your video - or your entire AdSense account could be disabled. Read on for links to more information and how to resolve content issues. Video not eligible for monetization? Monetization or AdSense disabled for policy reasons? You may be able to appeal! Manual review for videos marked "Not advertiser-friendly"
AdSense and YouTube prohibit copyrighted content used without permission. I Have active adsense account (non hosted) and currently only used in my blog. It depends on the exact content. In addition to making sure you don't have any prohibited content, you also need to make sure the content on your site is original. (I'm not exactly sure what a local marketplace website would include).